Reviews for the USHUD.com family of sites! That's great news! I look forward to working with you for years to come. Don't forget to ask the buyers that indicate they own about listing their current property as well, you'd be amazed at how often that gets overlooked. Please let myself or my Member Services team know if there is every anything we can do for you. I just wanted to take a minute to thank you personally. You worked with me in the beginning and convinced me to give USHUD a chance. I get so many phone calls from people trying to sell me their lead gen services that I have trust issues! I've been with you guys now for about a year and 6 months and I've now closed over 10 deals with a few more in the pipeline. You have MORE than lived up to the promises. I also appreciate that every time the lead flow slows you've worked with me to help build it back up. You have a customer for the long haul with me and I really wanted to say Thank YOU!! Have an amazing day brother! " No need to thank me; you have been a delight to work with. Thank you for the feedback over the last year and a half. As you know, marketing has ups and downs. Two-way communication helps to ensure that we are keeping you happy and successful. Our goal here is to see your 2019 be the best year with us yet. "I signed to your company service at end of last year and my business keeps growing dramatically. I closed a few transactions with the clients that I received as your leads. Justin is working very hard and is always there for me if I have any questions. Hats off and thank you for going above and beyond for me. I am already recommending your company to all my co- workers! You are the best lead generating platform on a market- that's for sure!! Looking forward to keep working with you." I have been using the program for about 9 months and can tell you that it has more than fulfilled my expectations. As is the case with any lead program, many of the folks are “kicking the tires” or prefer to work with local lenders, but I’m here to tell you that if you make the calls, follow-up and spend time with the clients, they absolutely DO come around in a positive way. I think the HUD name lends legitimacy to the communication string. Many people go to the websites in search of a foreclosure and walk away with a fresh perspective of what the websites do indeed, offer over and above their original purpose. Finally, I enjoy our phone discussions. It absolutely makes me feel a part of the team. Best to you, the entire team and your personal family." "I wanted let you know I've been enjoying the leads coming through USHUD. I've had a total of 17 leads thus far, taking 3 applications. Thanks again to you and your company leads, you have yet another satisfied loan officer." We have used this company on and off over the last 10 years. It has helped us create some activity within our office when we needed it. Kevin Walp's service and attention to our needs has always been top notch. I would definitely recommend him and the company to any of my colleagues." I got about 50 leads in 30 days. I got a hold of 6 or 7 of them right away, because I was busy and couldn't be as responsive as I wanted to. Of the ones I got in touch with I got 4 apps and 2 turned into loans. You cant beat that for the money. The others I put in my drip campaign. I never had someone say they didn't want info. I have used many lead providers. Nothing is more discouraging than someone saying that's not me or I just wanted the gift card"
I'm so happy that you have had the success that you do deserve. It's been a pleasure working with you and I hope that we can continue to share in your massive accomplishments! Great to read your review and we of course shared it with the team this morning. Tara is one of the 8 wonders of the world and she and the rest of the team are here to help you whenever you need. Keep calling those other buyers! They are probably just busy with their own lives and have not had the good fortune to meet you yet. So glad we could help get you so much business so quickly. The Member Services team is always here to help so don't hesitate to contact us if you need anything. I hope you have even more success as we continue to move forward together. You keep selling and we will keep the buyers flowing. You rock and we will roll and keep you as busy as we can. If you start getting overwhelmed let us know otherwise it is full steam ahead! I just wanted to follow up with you as it's been approximately 6 months since I signed with the USHUD program as a Realtor in the Philadelphia area. 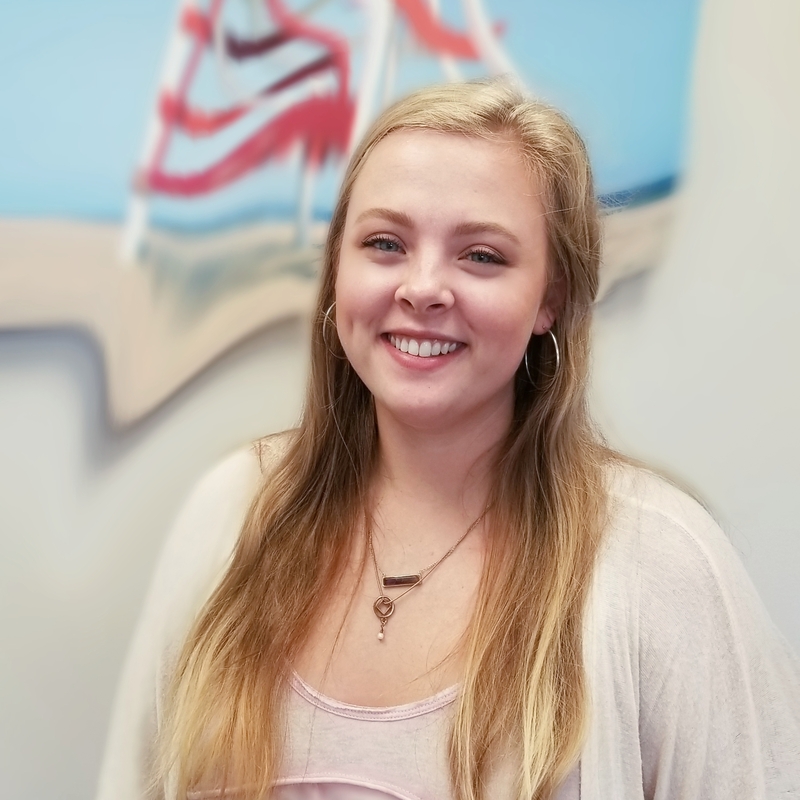 From the initial conversations with you Brianna and the benefits of the program and services you detailed it's been nothing but a very enjoyable experience and consistently exceeding expectations! Personally it took me a bit of time to figure out the best approach with the potential clients (leads) who sign on with your various website programs and how to engage with them. I find that since they are truly seeking in most cases to find a home that the information they provide on their income/home type and price range etc. as well as contact information they provide is MUCH more accurate than many of the other Real Estate and "lead service providers" I have seen or worked with. The first was the "typical" USHUD and first time home buyer who settled on a $ 240,000 property. The second client after many conversations and viewing of multiple properties in the past few months just settled on a $ 1,080,000 Multi Unit investment property. Obviously the ROI and CPL (Cost Per Lead) was off the charts awesome for me and surpassing any CPL that I utilize with other services!!!! So thank you again for the smooth on-boarding process, exceeding expectations and always having great internal marketing and customer service support team when I needed them! Great to hear about your success. We will keep the leads flowing and you keep the sales going! Let me know if we can do anything and thanks for the words of appreciation/encouragement! Wow! That was some kind of email. Thanks! We always like to share the stories of success from our partners in the field with the team. Your story was especially fun to read to everyone as Bree works so hard to find the right Realtors. And like everyone here I love to read what happens when someone with your stick-to-it-ness is rewarded for their hard work. Call me anytime Stephen. We are here to help you and look forward to your continued success. Please continue to share the good and the bad, the easy and the difficult so that we can help you more effectively and follow your successes. "I've been a member for two months and the service descripted on your website is outstanding. I received my first lead a couple of days after signing up for this service and I am working hard with the leads that have been provided. I am currently closing my first deal and can't thank you enough for the amazing opportunities this is providing for me." Thank you for sharing your experience with us. I am happy to hear that you are off to such a hot start. Feel free to give us a call if you need any help down the road. "Here are the leads that I have closed so far and some are soon closing after inspections and option periods are past. I have a total of $735,400.00 in sales and a total of $22,062.00 in commissions. I started the leads in 2016. I have since paid in $1200.00 for the leads. I am $20,862.00 ahead! The leads are still coming in steadily! Thank you!!!" Thank you for the update. It was great to read about your success and we hope that you have an even better quarter this time around. I am sure the buyers and sellers that you have been working with appreciate your superior follow up and positive attitude. There is nothing that trumps hard work and we know you are doing what it takes to succeed. Keep it up and keep us updated? Great feedback. We have already shared this with the team and they were all pumped up for you. Thanks! As always it was a pleasure chatting with you today. Please share what I am about to say to your management and your welcome to use it in any way that is beneficial to you and USHUD.com. I started receiving leads through Reltor.com and at every step, to include today sick of how they do not return calls, dont take responsibility for the sales and management staffs poor customer service and for not providing customer service staff with the ability to to take care of negative issues that their management has created. With that said, I started buying leads through USHUD just after purchasing leads from Realtor.com. I have to admit in the beginning things felt about the same. At the point members services intervened I started to feel that I was valued for my commitment to USHUD and began to see more leads as you guys were continually behind the scenes working for me just as I do for my own clients. Further proof to my testament is that I have begun to see true traction from the leads that you have sent me and my commitment to vet each lead until I can no longer work it. Before our communications I received a slow trickle of leads but after working with member services I have constantly seen the leads increase. This has been instrumental to me. So the amount of leads that have come from your support is what has made the difference. So with the constant stream of leads that you have provided I can now say that I am building traction. I just closed one lead from you, have one lead from you that is under contract and three more leads that came from you that I am currently showing homes to. Justin you and your team have always been accessible and have always treated me with respect and as a friend that would and has gone to bat for me. P.S. To date I have not had one lead that came from Realtor.com that did any thing but use me!!!! True statement!!! Great to hear from you. We realize that it can be frustrating when trying to find an online source for business that puts your needs first but I can assure you that we take your business seriously and we do put your needs ahead of our own in the pursuit of better business and creating long lasting relationships. Remember that we are a boutique operation so we are able to assist you as an individual and spend time with you to improve your results from your online efforts. So please reach out to anyone at member services and we will be here to help. The more you stay in contact the more assistance we can provide. What a wonderful post for me to be able to share with my whole team! I look forward to working with you in the future and hope that we can help you maintain the same level of success…or increase it! Don't hesitate to call or email. Everyone here is on your side and we are here as your virtual assistants. My team works really closely with Member Services and when Bill shared your post we all felt like heroes and I wanted to say thanks. Even though we don't work directly, if you need anything just tell Member Services and my team will do whatever we can to help. I wanted to thank you for all your support with this amazing lead generator. As we were talking today I have received 43 leads and converting now 8. When I receive the leads all the contact info and a brief summary about the client I immediatly follow up with a quick "thank you" call. If they do not answer I send a text message and a email. I wanted to thank you again for all your assistance in helping me decide which areas to work with and always making yourself available to answer my questions.I know that I have only participated on this program for less than a month and I am so excited to see what the next few months are going to bring. Thanks for the very positive feedback. Justin shared your story with the other members of Member Services and then then entire team. The feeling of satisfaction he shared was absolutely contagious and a tremendous boost to everyone here as we continue to work every day to help people just like you generate more business. Keep up the good work and have a great year! Great job Sharon! Like any great business person you have a system and from what I here you are working your system!!! I am very pleased with the service and the professionalism so far, and looking forward to increasing My business because of USHUD. Glad to read that you have been pleased so far and we will focus on continually improving the service that you are receiving. Just let us know if there is anything we can do to help and we will do our best! I wanted to thank you for reaching out to us to get us back on board with USHUD. Your work ethic, professionalism, and willingness to discuss our campaign with us are exactly what we were looking for in our account manager. Since you have taken our account over we have already closed our first purchase which we signed within days one week of our initial conversation. We are excited to start expanding our areas and scaling with US HUD as a primary lead source. Mike, Vince Biello here from the marketing department. Let either me or member services know! Thanks so much for you professionalism and assistance during my time with the lead program! The support team and pre-sales person all helped throughout the process and it made for a good experience. When I am back in the market for more leads, I will consider using your program again as part of my marketing strategy!" Glad to read the post you wrote. It is part of what separates us from the standard online program. We try to make it flexible so that you can come on and use our services when you want more business. If you go on vacation or get overwhelmed with referrals we don't want you to feel locked in. We do want you back and Kim assured me that she would reach out to you in a couple of months just to catch up. Thanks for the business and have a great year! Wow, that's beautiful. I'm glad I have your favor. Your assistance is going to keep the roof over me and my son's heads, I'm very serious. I'm so honored -- Thank You!" Wow!!! Right back at you! We all love hearing success stories like yours. It makes the daily grind that we all feel worthwhile when we come into a post like yours. Thank you so much for the kind words of encouragement. Your words had Justin and the rest of the Member Services Team walking with an extra bounce in their step all day! We had lunch delivered for them so they doubly appreciated your post. I just wanted to take a brief moment to let you know how very impressed and appreciative I am of the level of service and commitment you have provided to me during these past two weeks - not to mention your patience and professionalism. As I mentioned to you over the phone, I have been in the Real Estate Industry and the Ministry for over 20 years, and I've just about seen and heard it "all" so it takes a lot to impress me as I know when someone is being forthright and genuine and when they are not. Sometimes people in sales have a tendency to be less than forthright and quite pushy in an effort to "make the sale". I did not experience that with you. You have been very honest and real and professional - assertive but not overly aggressive and I truly appreciate that. You answered all of my questions (and I had MANY) with expert knowledge, professionalism and patience; and the one time when you were not sure, you brought in your manager to help. I appreciate that too. Some people will give you a "fluff" answer instead of admitting that they are not sure about something. I consider that to be the mark of a true professional - seeking assistance when needed. I can tell you love what you do and you have a strong desire to help people. You have certainly helped me as I have had some "less than stellar" experiences with other Lead Generating Programs in the past, I was a little hesitant but you calmed all of my fears. I am ready to come aboard and I look forward to a mutually beneficial, blessed and prosperous relationship as we work together to generate lots of closings for The Borges Realty Group. P.S. You are the embodiment of the attributes I train my agents to have - the makings of a Top Producer. If you ever decide to sell Real Estate - Call Me!" Robert told me about you before you came on board and became a member of the cooperative. He told me that you had a lot of questions and that he felt like you were really challenging his knowledge and he came to me with several questions that he wanted to be sure he was answering correctly. At every turn he was determined to get the right answer to you and stretch his knowledge. In other words you really helped Robert perhaps more than he helped you. Thanks for putting him in a position to grow professionally and believe me, he enjoys your conversations too. Thank you for the leads so far. One of them is turning into a real buyer! So I am happy about that. I will be showing them homes this weekend. Some of the others are not as responsive. I will usually try making contact a couple of times and then move on if no response. I have mentioned your program to a couple of lenders and one is possibly interested. I will find out if they are serious then let you know." Glad to read your post and good luck with the showing this weekend! We have some professionals that have had some major success by calling each lead/referral with a system of calling with a schedule for each lead and they have indicated closing ratios as high as 14% which is higher than I ever had personally but maybe my method and system wasn't as good as theirs? Good luck and keep in tough!? Judy…Great News and thanks you for the update!!! Thank you for offering me the opportunity to advertise on your website. I just started the third month with more than 50 leads of which at least 4 potential clients and 1 closing scheduled for the end of this month. So far so good hopefully more business generated now that it is spring!" Wonderful to read you post and even better to read about your success. If you start getting overwhelmed by the number of leads just let us know and we can make some adjustments to your account. Sometimes it is hard to get to everyone when you are being flooded but remember they are your exclusive referrals and if you want to refer them out to someone else you can always do that rather than feeling overwhelmed and not having enough time to service the clients that you have. Keep Member Services in the loop so that we can provide an assist if needed. At the end of February I answered an E-mail from Courtney Flayhart. With in a 12 hour period I was on the phone with Courtney and she answered the many questions that I had about her services at USHud.com. At that time Courtney displayed not only expert knowledge of her Company's services she also showed a professional and courteous demeaner. I would recommend her not only for her services, I would also say she would be a well qualified candidate for employment." Daniel...Courtney was my desk neighbor before I was promoted to marketing (BS Marketing) and now that I head up the marketing team I have a new appreciation for Courtney and the relationships that she builds with her clients. Thanks for feedback, I will read your post to the team tomorrow morning. That sort of comment really helps the morale. Appreciate you very much! Thank you again for your help!!! Thank you for the opportunity of working with such a great group of people at USAHUD. I have my first closing scheduled for next week and I am also working with 2 other clients that have been prequalified and ready to purchase! Thank you for your assistance!!!" Your service is doing a great job of providing leads of sufficient quality and quantity. As with any lead service it's expected to have fair quality leads, however everyone who I have contacted has be receptive to wanting to get out of debt and is a pleasure to work with. Keep up the good work." One Stop Realty Shop Inc.
"Hey Bryan, how are ya.. per below email chain.. Which is AWESOME BY THE WAY! I had lunch w/ them (USHUD realtors) yesterday and looking to build a relationship now! I'd love to work with this company: They are a solid team! Awesome! THANKS SO MUCH!!" I will do my best to work out their needs and get them to their ultimate goal. Thanks so much and I will do my best to make timely contact with the potential buyers"
I am so sales adverse and resistant it takes a good delivery to keep my interest and attention. You are good at your job. You kept my interest in spite of my resistance. So, nice going! You have what it takes to go far in sales. You have the right instincts." I just closed my first one 12/28 and made a great connection too! I have sent a few other realtors some leads from time to time and they've gotten rentals, and listings from them"
You are both wonderful, friendly, supportive, knowledgeable, helpful, went above and beyond to make this an easy process for me and I feel genuinely lucky to have you both on my side and working with me on this journey. Please let your managers know I said you both are truly assets and did a great job for me. AND if your managers have any questions ask them to call me directly! I'll be in touch ;-) "
"I just want to say Justin was great. I hate telemarketers but he was great." "I have been a customer for about a year now. Kevin had the tenacity to stick through my original interrogation about the leads and I couldn't be more thankful that he did. So far I have been successful reaching folks, taking them out and closing on homes they love. I've recommended a few people to him for his patience and excellent customer services. I look forward to another year and many more closings generated. His professionalism in handling the issues as well as that of the rest of your staff is top shelf. Thank you for the opportunity to work with you." I just wanted to send you a quick note about my sales rep Joe Muhlada. He is absolutely fantastic to work with! I have already signed 3 new clients from your service and written 2 offers on property as a result of your service! Thank you so much for the outstanding service! BTW I interviewed to work with you guys 2 years ago before I was re licensed as an agent. Thanks for saying no and sending me back to my passion! Suzanne Hefni-Pyle owner of Buyer's Only Coastal realty and after 23 years in real estate and trials and tribulation of using many lead generating services, USHUD/ALLHUD lead resource is one of the best around right now. I closed a cash buyers within 25 days of set up and now have a few accounts with them. In challenges of the world of internet and Google goliathing and overtaking too much control of the new search algorithms, which cost thousands of dollars to have a professional who knows their SEO monitor, you will find this lead generating is the real deal with USHUD/ALLHUD and much more affordable. You need to follow up, understand it is a numbers game with online leads and follow up is key to success with all leads once you have them, which you will with this resource. I highly recommend if you have an opportunity to get a lead generating resource, use this one." I have been a client on and off since 2010 and the reason that I continue to renew is the volume of leads along with the quality. Your customer service in handling my account has been very efficient, and I would be happy to recommend your service to any agent who is trying to obtain some extra business." "I have been with USHUD since May 5th 2008; one of their first clients! I have successfully closed an average of 15 loans per month. As Manager of the “Lending Group”, I currently run a team of Certified and Courteous Loan Officers. We are all using USHUD as our preferred lead “generation” system, which from a cost/benefit analyst exceeds productivity and profitability expectations. I'm very impressed with the professionalism of both: Jim Buffington and Bryan Sherlock. Their outstanding attention to detail and follow-up is second to none! Thanks again to everyone at USHUD for a quality program." I have had two closings so far from my HUD advertising. Neither one of the people bought a foreclosure. One person actually bought a new construction home in Cumberland County. I am very pleased so far. The closings I have will pay for the ad for three years. Keep them coming my way!" "I started with TXHUD.com in March of this year. The only territory close to me and available was Fort Bend County in Texas. Over the first two to three months I made several contacts with potential home buyers. Like any source of prospects, it takes several months to nurture the relationship from just a name, email address and (maybe) a phone number to an actual prospect that may be ready, able, and willing to make a purchase. In tracking my conversion rate, I am starting to see very positive results. In the past thirty days I have closed two deals from TXHUD leads, one a seller referred by a TXHUD prospect (her mother) and one a buyer, who also now wants to list and sell their previous home. I have one set to close within the next month and six who are in various stages on the way to close. Three of them are looking at homes priced at 3 ½ to 4 times the median price in this market. So I feel my return for investment is very good. I am very pleased with TXHUD.com as a source of reachable accurate lead information at a very realistic price. I would recommend this service to any agent who is looking for an affordable and reliable lead generation source." "I am writing this letter to commend you on the hiring of Shannon Kloss. I have only been a client of your company for a short period of time but in that time Shannon has gone over and above to provide my company with excellent service. We plan on having a long term relationship with your company and I can honestly say she is a big reason for this." "I signed up with USHUD.com over a year ago and have experienced great success in converting leads to Sales... and continuing referrals from satisfied customers. One customer has purchased several duplexes and we anticipate many more to come. Another Buyer (who thought she wanted to purchase a foreclosure) ended up purchasing her dream home, $290,000, and has listed her Townhome ... we are closing in a few weeks. I could write more about all my satisfied customer but, suffice it to say that the majority of the 30+ Buyers I'm working with right now, are the results of leads from USHUD. The key to converting leads to Sales is follow-up and letting the customer know you are the HUD expert in the area. I've tried other Leads Programs - none of them compare to USHUD." 4 leads - 1 under contract! USHUD's the best!" First of all, thank you, over the years USHUD and probably more so, YOU have made me successful while those around me have failed. I have been a business partner with USHUD for years. I took off the holidays for personal reasons and emptied my pipeline. As soon I came back, I called you and had you restart my campaign. That was Saturday. Today, the following Tuesday I got my first contract. Three days after I started I got a contract for $135,000!! If that is not enough, I have three other leads that were qualified to buy and are out looking with agents. I cannot thank you enough for jump starting my pipeline. In a purchase driven world, these HUD leads are so valuable to what we do. I look forward to working directly with you for the next 5 years and longer. I just thought I would let you know and say thank you. Have a great day…"
I wanted to write up a quick summary of my activity for www.hudex.com. Since taking on the account in July, I have already closed 4 loans and have 50 applications that are out actively looking for homes. I have already made a net profit of $11,000. The key to these leads, just like anything else is constant follow up. I try my best to call the lead right when I receive it or at least on the same day. I leave messages at least once a week on these things and email them as well. I don't just call them once and put them aside. Once I take the application. I obtain all necessary documentation, possibly meet them in person, and I make sure to have physical conversations with my clients at least every 3 weeks to follow up on their property search. Clients have a tendency to forget who you are unless you continue to follow up with them. Would love to have some more areas. Maybe Middlesex county on some other websites or Essex/Norfolk county.
" The USHUD and Allhud lead program has been a wonderful addition to my systems. The consistant stream of buyer leads are particularly important in this economy and the client response has been significant. I am particularly impressed with my Account Rep, Jason Cusick. He has been extremely responsive to any and all questions and quick to assist. He is the ultimate professional. " I have been on line with USHUD, HUDEX and ALLHUD for the last month and a half. I have received over 50 buyer contacts and currently have 3 under contract to close in just this short time. Hard to believe right? Well it's true. Responding quickly to build relationships the key. I came on line with Jason and within a week I had my first buyer looking at a $1 million dollar property. I immediately expanded my coverage to the other two national websites USHUD runs. Since then Jason has worked with me to maximize my success. He has handled my Account like a true professional, and really provided a personalized service that is invaluable to me. To any real estate agent considering this program, I really suggest jumping in with both feet. If you want to be the only Agent for your entire area, receive live buyer information immediately as they register, and have access to clientèle you would otherwise never have, sign up with Jason Cusick and USHUD. I have had more return from my investment with them than any other service I have ever used, and I have been a Realtor for 16 years. I just wanted to a write a short email thanking you for the business you have brought me. I have been working with USHUD in New Jersey for the last six months and have been very satisfied with the results. Jason called me out of the blue on the last day of January telling me about this great program his company had to offer. At the time I was a part time agent and was dead in the water. As of February I decided that I was going to do real estate full time. He told me that for a small investment each month he could make me the exclusive agent for an entire county on a nationally marketed website. I liked the idea of being exclusive, but wasn't sure about spending the money up front. Jason assured me that for my minimal investment I would see maximum return. (We have all heard that before)But he was telling the truth! In the six months I have been with USHUD recieving their "real-time" leads, I have closed 1 deal for $330,000 and am under contract for $290,000 more. But I also currently have 3 hot buyers that I currently working with. Not to meantion that I've been in contact with over 30 prospective buyers. By years end I expect to close at least 5 deals (hopefully more) off of the USHUD site alone. Plus the referrals that I expect to generate off of my closed deals will keep on giving. Jason's professionalism, attention to detail, and true care and concern about my own personal success have made all the difference in utilizing this service. I recommend USHUD and Jason Cusick to any Realtor looking to be successful and expand their business to the next level. To any one who is wondering if this is the right fit for them, please email me with any questions, or call Jason at 443-837-1049! "Yes it's true. My first lead with USHUD was converted into an accepted contract in just 5 days. I couldn't believe it myself. I owe it to the amazing coaching support I've received from Sean Truesdale. He truely seems to have a vested interest in my success. The commission from just this one contract will pay all my USHUD fees for an entire year! I'd recommend this company to any agent. I want to sincerely thank you for the opportunity to have given me to expand my business and help more potential homeowners get the information you need and deserve in these turbulent economic times. I have been in the mortgage business for about six years and through that time I have spent much of my time focusing on refinance business. The services you have provided have given me direct contact to motivated and actively looking buyers in my local area. I have been using USHUD for just a couple of weeks and already have several pre-qualified buyers with complete files. It has also give me a chance to cultivate a strong referral relationship with a local real estate agent. Thanks again Mike, I strongly recommend USHUD to real estate professionals of all trades as well as potential buyers. "I signed up with ushud.com less than a month ago. I have gotten a number of leads, not just from the web site but from people seeing my profile and calling me. I have converted on lead to a buyer. I have tried many lead generation sites and USHUD is the only one I have gotten a contract on a home that is going to closing. That speaks volumes to me. When you can start getting leads and really convert a lead that ends in a closing is awesome. If anyone is thinking about signing up with ushud.com, then I would say it would be a smart move. Not only do you get leads, you get people willing to help with any tech problems you may run into and a contact manager that is just great. I think if agents would just give it a try for a month or two they would not go back to another lead generating site." " I was working one day recently and received a call from Mike @ USHUD. He said he had this great program for me (don't they all say that) and it was only $200 per month with a $100 set up fee. I said what about the contract or cancellation fee. He said there is none because they wanted to be able to get rid of me and I needed to be able to get rid of them if it was not a win-win relationship. I thought about it and well really, what is there to lose. So we joined up and in the 1st week we had traction with a number of leads. We actually wrote 2 offers (different buyers) in the 3rd week of being partnered up with USHUD. One was accepted with Lennar Homes and the other resale offer was not. We have several other clients that are about to be ready to buy and am very satisfied with the progress so far. The program has paid for 2 years of marketing already. I have worked primarily internet leads for over 5 years now and have personally helped over 200 families to find the right place to call "home". These leads are quality leads and if worked consistently this program is a no brainer. After all, what do you have to lose. Call me personally if you have any questions or if I can help. " "I have been with ushud for about a year and have closed several transactions since joining. The site works great for new agents or for agents that just want more leads. You are not going to convert every lead but if you contact each person quickly you should be successful. My customer service rep, William Johnson is always very helpful and responsive. If you're patient and work the system properly, you cant go wrong. " I have been with USHUD for over a year and am very pleased with the results. Like many others, I have tried other lead sources and spent more money and received less results. I have recommended this lead source to our other branches through out the state. Thanks Shannon for your support." "My experience with HudExchange and AllHud has been very positive. The service has provided me with a consistent stream of prospective purchasers for almost two years now and their customer support team is excellent. The quality buyer leads have helped me significantly increase my commissions and overall production"
"Since I have become an exclusive real estate agent on USHUD, my sales have increased because of the contacts generated by my representation as the exclusive contact on USHUD. I have a team of 4 buyer agents and many sites on USHUD. 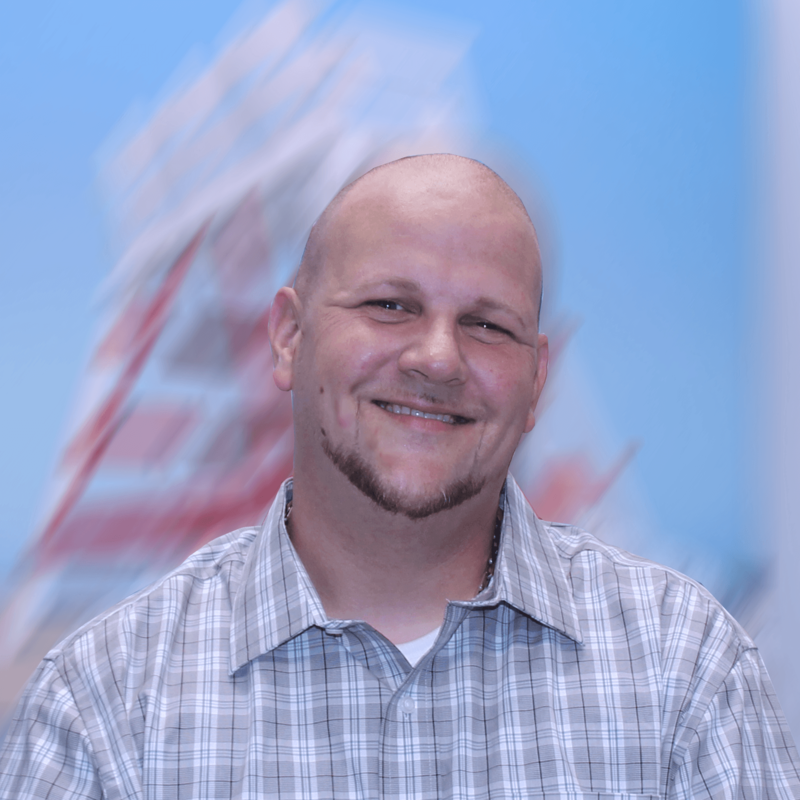 My sales representative is Jack Bachmann who is constantly striving to help me achieve the results we want, to make this marketing tool a success. Jack is always available to me and is excellent as my account rep and has been a tremendous asset in helping me with this program." "I am very pleased with amount of leads I have been receiving from the ALLHUD website, since I joined this year. I have closed 3 deals and have many, many leads I am still working with. I highly recommend the ALLHUD website to any other agent/s looking to increase their exposure and leads. Contact John Schuman for more info on how to get started in your area….just stay out of my area….., please. "My name is Alonzo Edwards, Branch Manager Top Flite Financial, INC in Mississippi. I have been originating loans for 7 years. During this time I have worked with several lead companies. Most as you all know have been horrible. I got a call one day from Michael Bamba who ask me to try his company. When Mike showed me how their lead generator worked I had to try it. Since being with USHud.com for about 2 months I have closed several loans. My wife is a realtor and she has also received several deals from USHud.com and CLOSED! I have now began to receive leads in other states now and it has been awesome. This is now my main resource of advertising and marketing. AND IT's CHEAP! If you decide to use this company, contact Michael Bamba, he is the MAN! He gives me courtesies and all ways keep in contact with me daily to make sure all is Well. By the way I made over 20K in the past 2 months off the leads from this company! ALL IS WELL Luke 2:52"
"Sick of dead-end leads? You sound like me a year ago! Boy! Was I jaded! I was paying for garbage that went nowhere. Not today! I got a cold call from Jim Buffington last October and in 30 seconds I knew something was different. I got real numbers and straight talk without the frills from someone who seemed to care about my business. I gave it a try. I thought to myself give it 30 days and we'll see. It's been a year now and this is the best program I have going. It didn't work for me right away but I had to learn how to work the program. Jim helped with that too. Today, I have expanded my program with Jim and it's working for me. I brought two other Realtors and lenders to Jim with the understanding that this is a closely guarded secret since it actually works. Now, I talk to Jim every month. That's when we talk about how my business is going and look for ways to help me earn more. My program is in the black. Jim isn't just a sales rep. Jim Buffington is my advertising consultant and cares about results. Next week I will meet my $500,000 Buyer from out-of-state. Thanks Jim! Best to you and yours Jim and thanks for making my business more profitable!" I just wanted to drop you a quick note to let you know how well we're doing with your leads and CRM system. We have been working with your leads since November and have been averaging 4 to 6 closings per month. One of the nicer benefits from your leads is that the loans generated are all purchase money loans. We have used these loans to refer buyers to local Real Estate agents who in turn have begun to refer other buyers to us that would have gone to other lenders. This means that we really generating 7 to 9 loans a month from your leads. In addition the new contact management system looks like it's going to be a excellent tool that I am counting on to increase our conversion ratio's and improve our follow up. Thanks again for helping my loan officers succeed." "The allhud.com/ushud.com lead program is a very important part of my business. I have closed millions of dollars in volume from this system within the last two years, so I know my return on my investment has been outstanding. Also my account rep, Jim Buffington, has gone over and above my expectations. He has strategically helped me grow my business in a challenging market. I recommend this lead program to all real estate and mortgage professionals." "I have been working with Jim Buffington sine Dec 2007 with USHUD leads. With Jim Buffington's help I am getting good leads and successfully closed many loans with USHUD customers. Jim is very detailed person that will listen and provide information for you to be successful and comfortable to close loans with his leads." "I have been working with USHUD, the foreclosure website/service, since the beginning of the year and I have to say that it's been _the best_ source for me for buyer's leads. Not only do I get a high volume of leads, I am also getting great quality leads. As with all internet leads, some of them are ready and qualified other may not be able to buy until later, but these are truly great leads. I've tried several other lead generating Companies, but USHUD, AllHUD, HUDExchange has been the best investment by far. I've referred the Company and many of my colleagues, realtors and lenders, and they are equally satisfied with the leads and service. I can recommend the Company to anyone who would like to get a high volume of quality leads. *MALIK MANSUR* has been my account rep and he is simply fantastic!!!! He's truly on top of everything and will go above and beyond for you. What a great service!!!" Thanks for the opportunity to write you a "testimonial letter" regarding my experiences with HudExchange and Allhud.com. I have been using your lead generation services for the last four months. I am really happy with the results I have had. Since the individual has just been "shopping on line" for Foreclosed properties, they are more likely to be interested in having a conversation with me about getting pre-approved, so that they may then be able then go out and "shop" for homes in the price range that they now know will work for them. I get approx 15 leads each month. I try to call each right away, and follow up with an email with my Contact Information, so that they know who I am and how to contact me. While some people are just "looking around the web", many of them are very interested prospects. I have already closed one escrow from these leads and another purchase is now in Contract. This has already more than paid for my first full year as a Subscriber with you. In addition, I have met numerous other Real Estate Professionals that you have "linked me with" that I have been able to become Referral Partners with. Also, I would like to say that the materials and script you provided me with in the once I joined, were very valuable. I would highly recommend others to give this system of Lead Generation a try. You will get out of it what you put into it." "Texas Capital Properties has been using Heavy Hammer/US HUD as a lead generating source for the past four years and has been very satisfied with the results every step of the way. Everyday we receive an abundance of quality leads, supplying complete contact information, which we are able to take and convert to sales! These leads provide invaluable information and have been quite profitable to the company. Texas Capital Properties recommends this service in the highest regards." I wanted to send you a note to tell you how great your service has been and how much success we have had with the US Hud leads and Hud exchange. You are always there if we have any questions or concerns and I appreciate your service. The leads have kept my Loan officers busy and has allowed us to established new relationships with real estate agents as well. I have spent thousands of dollars on leads in the past with no real contacts or success. This is the only leads I pay for now and we always have contact and have potential buyers that we work with and qualify for purchasing a new home. This has been a great tool. This is a low cost and easy way to get potential and good leads in this tough market today. Thank you again for your great service." 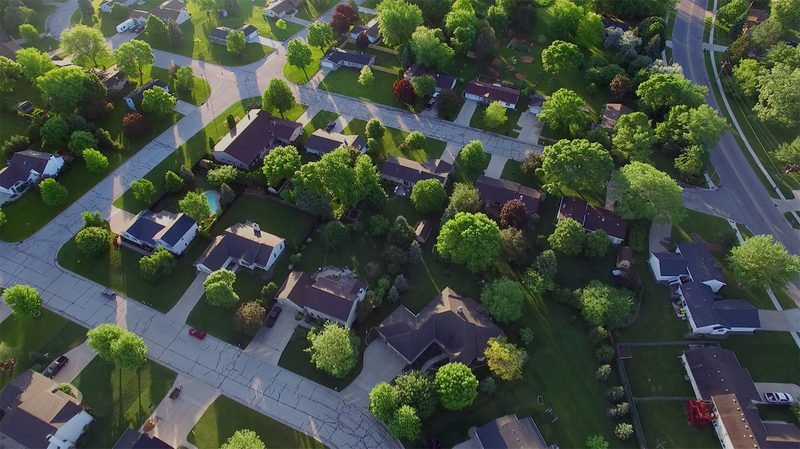 "I am a top producing agent in the state of Indiana. I work both Hamilton, and Marion county. I have been a client of this company for two years and the results have been fantastic. It has increased my new buyer clients by 30%. It is economically affordable for the return on the investment. I would recommend the lead generation system to every agent who wants to increase their revenues. In this market arena every buyer and investor is looking for "deals-foreclosures". This site brings exactly that." "In Real Estate, our job is hard enough and requires some grueling hours and attention. It is difficult for us to constantly wake up unemployed and have to find business. I have found one source of business that has been helping me achieve my goals. The bonus with this source is Lee Nelson. Lee has been assisting me for several years. Lee is such an asset to his company. I wish that everyone I encountered in my line of work was like him. His attitude is amazing and contagious. He pays attention to detail and works until you are completely satisfied with his service. He is focused and unwavering. Thank you, Lee for all that you do." "I reside in North Carolina and have been using the program for over eight months and have been very successfull with it. The buyers are good quality and Chris Johnson takes care of my account. I came on board and have had a pleasant experience with the company also. I have closed some very good transactions and look forward to a good relationship and continuing to get more business from this great marketing vehicle." I am really happy I got involved with your program. Recently, after just a few showings, I put an offer in for a buyer I met through your site! "Thank you so much for contacting me and signing me up on the MIHUD site! This web site has generated many leads for me. Some are ready to buy now, and some need a little work before they can buy. However after a year of prospecting, the leads I received from your site, that were not ready to buy, I have sent to credit counseling and now are coming back to me. 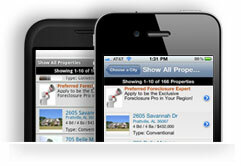 It allows me to capture buyers in the beginning stages of their home buying process. " "USHUD is a great lead source and the leads are instantly fresh and not called by 10,000 other people like when you buy leads. Every area I've done yields 20 to 40 leads per month and for the money you can not beat it. The trick is YOU MUST CALL THE LEAD AS SOON AS IT ARRIVES IN YOUR INBOX! Don't wait hours or days, the potential buyers are at their computer when that lead arrives and in the mood for real estate - so call them ASAP! " "Cohud is my #1 lead source. I love the leads and think it is the best bang for the buck." "USHUD is a great vehicle for attaining another source of business. The leads are emailed to you with information on ways to contact the potential client. It also gives you an opportunity to partner with realtors you may otherwise never get a chance to meet. My site manager is always available for questions and support as I need it. If you want to call me with questions I'm happy to take your call..."
"This site has been a great source of buyer leads. I have been associated with it for 2 years and have developed many great clients because of it. 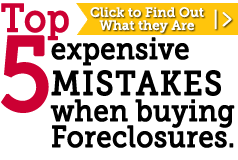 I would encourage you to learn as much about the foreclosure industry as you can so that you can educate present a future clients about how this process works. If you are a new agent, this is a great opportunity! I would encourage you to consult with your mentor to discuss how to best use the information from USHUD. " "A huge THANK YOU for contacting me about advertising on your sites. I have had the best response from any other advertising ever from your site. It works! This is a great thing given the current market conditions. I have buyers that I would have had no access to be it not for HUDExchange and USHUD. I highly recommend this advertising, it has worked very well for me." "I have only been with your company for a few months but I have successfully closed six people that came directly from your leads. I'm currently working with several other prospects and anticipate getting them in contract shortly. I specialize with foreclosures and I find this a great source of buyers for me to match up with my REO listings. The commission that I've been paid will more than cover the cost of your program for the next few years. I'm very impressed with Jim Buffington, my account manager. His attention to detail and follow up is second to none. "I CAN TELL YOU THAT WITHOUT THE HUD LEADS WE WOULD BE CLOSING VERY FEW DEALS." "I am in the great state of Tennesse and I work in the Shelby county area and I have been a proud member of the program since 2006 and have had some great business from this program and it has become a important part of my marketing plan. Chris has always treated me well and the buyers I work with are good quality and I would recommend this program to other agents looking to increase there real estate business and learn about foreclosures."